However, if you're using Emacs as your editor, there's no need for vidir. In fact, there's some extra work involved to open a shell, change to the directory in which you're already working and then use vidir. Besides, Emacs comes with a built-in mode that already has the same functionality. The well known dired-mode, has a lesser known option to actually edit the dired buffer. This mode can be toggled with M-x dired-toggle-read-only (or C-x C-q). 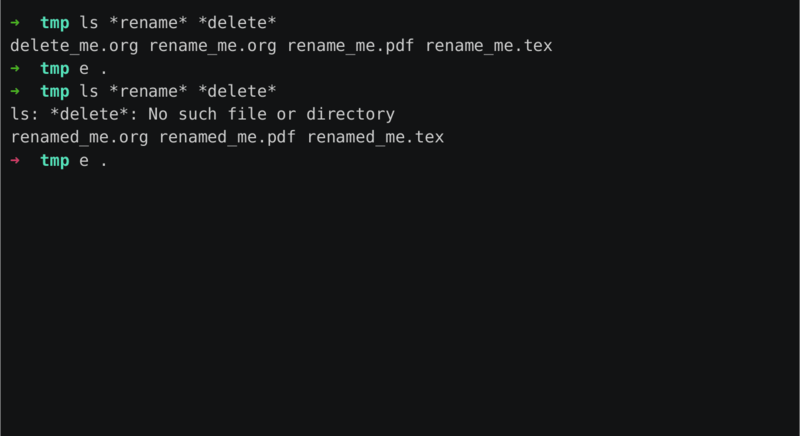 Then you make your edits to the files (rename, move, delete) and commit them using the familiar C-c C-c. Here's the official documentation on editing dired buffers and here's a short video demonstration of me using writable dired buffers.